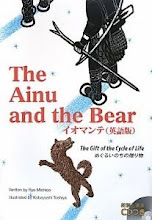 If you have been following this blog, you know that our latest storybook translation, The Ainu and the Bear~the gift of the cycle of life, will be out very soon through RIC Publications. RIC includes a CD recording of the text with each storybook they publish, and this book is no exception. 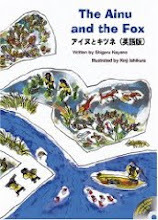 This is intended as an aid to second-language readers and young children, but in our case, it has the added benefit of enriching the experience of the text with authentic Ainu music. 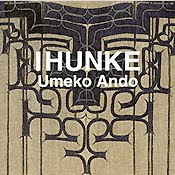 The music on the CD which accompanies The Ainu and the Bear has been selected from Ando Umeko's critically acclaimed solo album Ihunke (produced by OKI's Chikar Studio in 2001). 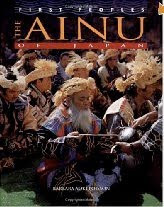 Ihunke means lullaby in the Ainu language. 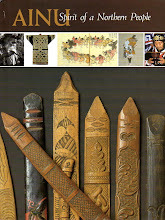 Ando Umeko, an Ainu from the Tokachi region of Hokkaido, was widely regarded as a master of the mukkuri (Ainu version of a Jew's harp) and upopo (Ainu chanting songs). 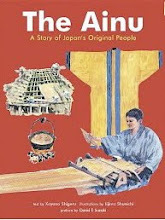 She worked tirelessly to preserve and pass on traditional Ainu skills and customs for following generations of Ainu. She died of cancer in 2004 at the age of 72. Experience Ando Umeko's voice on this YouTube segment. Her singing is accompanied by OKI's performance on the tonkori, a slim, 5-stringed instrument that was once popular among the Sakhalin Ainu, and which OKI helped to rescue from extinction.